Extra strong linen cloth coated with neutral pH acrylic adhesive. 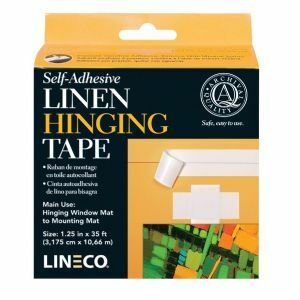 Excellent for hinging window mats to backboard or attaching art. 1-1/4"w x 400" long roll.